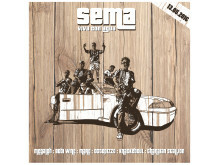 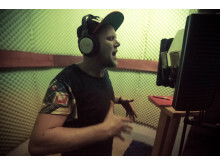 ENGLISH - Viva con Agua Allstars Premiere: Internationale HIP HOP COLLABO "SEMA - Say it!" 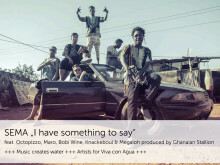 Artists from around the world came together with Viva con Agua to support water and sanitation projects in Uganda through an artistic exchange and to empower Viva con Agua Kampala – an organization which has recently been founded independently from Sankt Pauli. 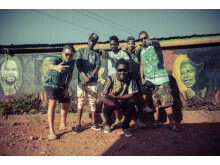 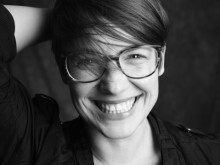 The journey included project visits, workshops, performances in Moroto and Kampala, as well as two festivals and the recording of a music collabo between top artists from four countries (Uganda, Kenya, Switzerland, Germany). 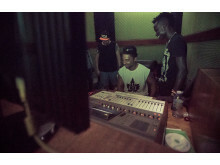 The six musicians - Octopizzo from Kenya, Maro and Bobi Wine from Uganda, Knackeboul from Switzerland, and Megaloh and Ghanaian Stallion from Germany - first came together in Uganda's Karamoja region, where Viva con Agua Kampala was visiting project sites of Welthungerhilfe on World Water Day, and preparing two music festivals in Moroto and Kampala. 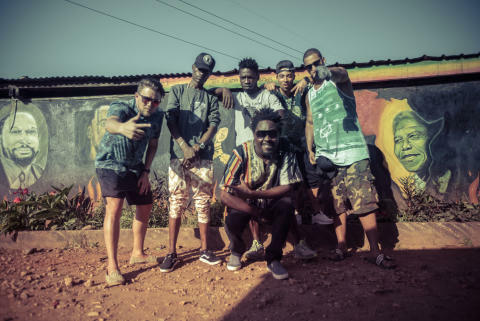 In Moroto, the artists joined Viva con Agua in supporting WASH projects (WAter, Sanitation, Hygiene) and put on a live concert, then everyone returned to Kampala for a second festival. 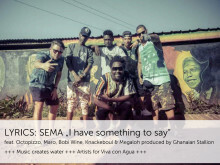 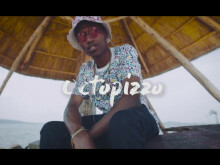 In the same week, the artists recorded 'Sema' and produced a music video to create awareness about Viva con Agua's water and sanitation projects. 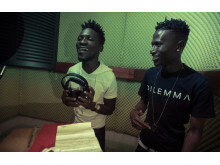 Ugandans followed the journey online and via social media as the country's top reggae-dancehall artist and celebrated social justice advocate, Bobi Wine known locally as "The Ghetto President," posted about the project on his Facebook page. 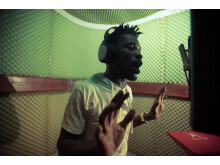 Following a night in studio, Bobi introduced his fellow artists with a photo captioned: "when Kamwokya is the meeting place of the world; ‪#‎FIRE!" 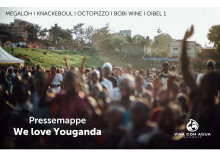 After 10 years of Viva con Agua de Sankt Pauli the social community for fresh water and sanitation finally becomes an Ugandan All-Profit Organisation with the vision All for Water - Water for All. 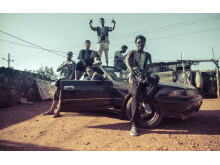 So even the artistical point of view as well as the content of music, arts and sports throughout the coming and working together in Uganda are influenced by the idea of self-empowerment: Uganda for Uganda is the key to a better tomorrow. 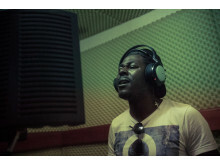 Megaloh is being published by Sony ATV.Ghanaian Stallion is being published by Edition Bomb The System/Universal Music Publishing. 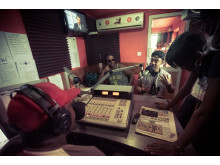 QUOTES - Viva con Agua Allstars Premiere: Internationale HIP HOP COLLABO "SEMA - Say it!"